PotPlayer is a media player developed for Windows by South Korean Internet company Kakao (formerly Daum Communications). 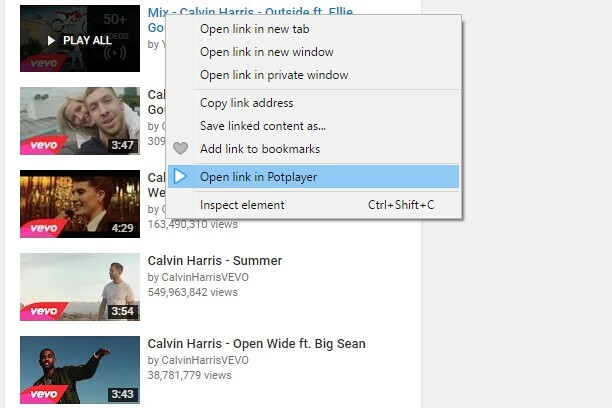 Player can play Youtube videos and videos from any other urls if it's direct video links. To open a Youtube video (playlist) in PotPlayer you can use the buttons on the site or you can use the menu items from the context menu (the right-click popup bar) on a Youtube link or on the actual Youtube page. 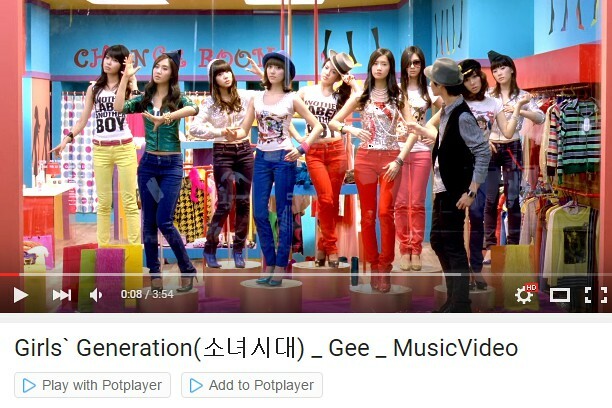 You can also use middle click on a Youtube page or a link to open it directly in the player. In order for that to work, you need to open the extension's preferences and enable the necessary features. If it doesn't work for you then try to open the player's settings (key "F5"), then go to "Association" tab and check any association (e.g. ".mp4") and finally press Apply or OK button (after applying the settings you can uncheck previously checked association). It's recommended to always update the player to the latest version of Potplayer (get the latest version: https://potplayer.daum.net).